AHP purchases distressed mortgages at discounts for a reason: they are often difficult to resolve. Proper documentation and borrower cooperation are never guaranteed, making the transformation from a non-performing loan to a performing loan a tricky one. At AHP, we know the path to recovery from the recession and foreclosure crisis for struggling Americans isn’t easy. That is why through thick and thin we keep our social mission at the forefront of every borrower interaction. When AHP acquired Tim’s loan in pool 2013C, he had not made a payment since 2011. In October 2013, AHP reached out to Tim with a letter that laid out several settlement options. After sending multiple letters and receiving no response, AHP was forced to start foreclosure. Unlike big banks that have typically proven ill-prepared to address borrower predicaments, AHP is well equipped to deal with these situations. In starting the foreclosure process, AHP was stymied by a missing document accompanying Tim’s mortgage. 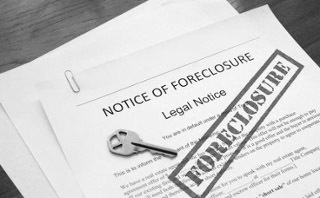 AHP’s litigation team got an affidavit for a missing allonge and proceeded forward with foreclosure. In following protocol, AHP reached out to Tim yet again letting him know how much was needed to settle, and by when. Still, no response. Once the foreclosure notice was filed, AHP finally heard from the borrower, who set up a phone conference with AHP’s litigation department and his legal representative. In a show of good faith, AHP provided Tim and his representative with previous borrower success stories to emphasize our social mission. AHP’s original offer to Tim was to settle his more than three years of delinquent payments for $2,000. However, given the delayed response and the start of foreclosure, Tim had to pay an additional fee to cover legal services. As it turns out, Tim recently received an inheritance after the passing of his mother. Tim could now comfortably afford AHP’s settlement offer and after years of delinquency, he was able to resume his monthly payments where he left off. Though not easy and things don’t always work out this way, this is the outcome that AHP strives to achieve on a daily basis. At AHP, we understand that borrowers are faced with difficult circumstances in their lives and making ends meet is not always possible. That is why even when we start foreclosures, we are still always willing to work with borrowers who truly want to keep their homes.